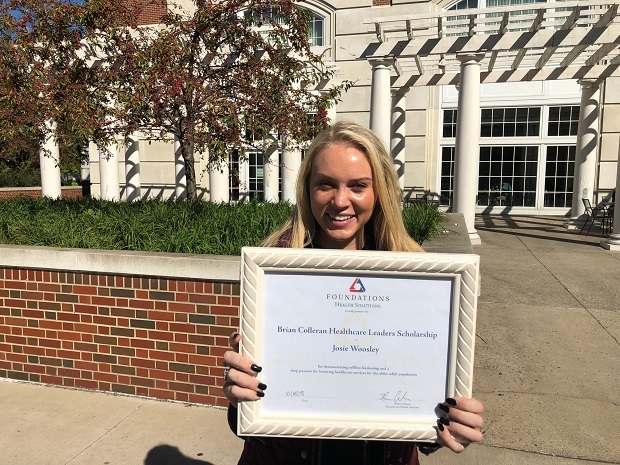 Ohio University Student Wins Brian Colleran Scholarship! NOTE: The following article was posted on the Foundations Health Solutions website. Meadow Grove is proud to be a part of the Foundations Health family and also proud of the accomplishments of our awesome intern, Josie Woosley. Enjoy the story below. She is a true blessing to all.